The swimming community has a bewildering array of training toys available for swimmers and coaches to use during practices. Some are useful for certain situations, some are rarely useful, and some are the source of a lot of debate. 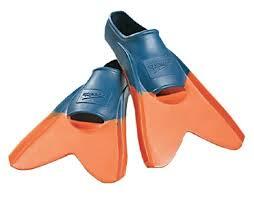 Fins (also called Zoomers) – These go on the feet and allow the kick to provide much more power and faster speeds. They also artificially improve body position. Rubber Bands – Some swimmers use these around their feet to minimize foot action during swims with pull buoys. We don’t use these. My older swimmers (Junior and Senior groups) have specific issues and opportunities when considering training toys. Firstly, they are bigger and stronger, their body position and strokes are pretty much under control, and with the added training time, we need to ensure we don’t create any overuse problems in key swimming joints (shoulders and knees). Secondly, my personal point of view is that anything that artificially makes swimming easier or faster than ‘normal’ (without the toys) should be viewed and used with caution. We should never want our normal swimming to feel slow. Lastly, I should warn you that I have a significantly different approach concerning training toys than most teams out there. Most teams have almost all kicking done with a kickboard. These boards keep the swimmer’s upper body very high in the water, meaning less drag, and the swimmer doesn’t have to worry about their body position. 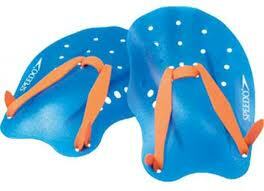 The good news is that this allows the swimmer to focus solely on kicking. The bad news is that the swimmer is kicking with an unnaturally high upper body position. If all kicking is done with a board, then the upper body and legs develop certain spatial relationships. When you take the board away and ask the swimmer to swim, in many cases the kick is now too high. Essentially they are kicking air. Body and leg position are too important to me to play with. (Breaststroke is the only exception, where the body position is actually better with a kick board than without). As a result, we only use kickboards for 2 rare situations. when we hold the boards vertically just under the water surface in order to introduce massive amounts of resistance. Pulling is used by most teams as a way to increase arm strength during the pull phase. For that purpose it can be very effective. Unfortunately, I feel that this approach misses a fantastic opportunity to improve the actual pull technique. 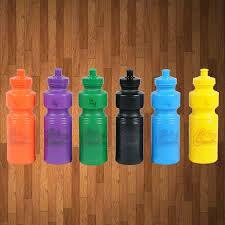 Pull buoys are used to hold the body in a good position without requiring any work by the legs. This allows the swimmer to focus on the pull. However, this means by using the same body position, the swimmer is likely to use the same pull technique that they always do. Muscle memory will just take over. Flaws will remain, or even get further entrenched. I don’t like this approach. It seems to me that pull is most valuable when used as a technique enhancer. If we remove the pull buoy, let the legs drop, and just cross the feet, you will get far more water resistance and a different body position. Muscle memory is not as strong now, and an alert swimmer should be more aware of the effectiveness of their pull. If you move the legs to a 90° degree angle to the body, you can get so much water resistance that only the best pull technique will move you through the water. This type of drill should never be done at full speed. Paddles help with better arm technique, plus make the arms work harder. Both good things. But unfortunately, paddles also significantly increase the strain on shoulders. As training hard always introduces a chance of shoulder pains / inflammation / injury, I am loathe to introduce any training toys that can push that balance farther towards injury. As a result, we don’t use paddles. Instead we have to spend more time on drills that accentuate the early high catch, but thats a trade off I’m comfortable with compared to shoulder injuries. 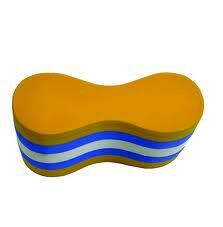 Many training groups combine paddles and pull buoys, increasing the strain on the shoulders by a very large amount. I am definitely not in favour of this. 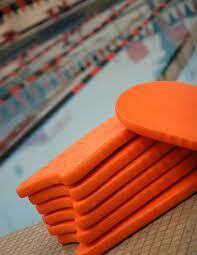 Every swimmer in the world loves these things. They allow the swimmer to go faster, and thats just fun. However, Coach Caillin has described how fins also have the negative effect on developing swimmers of impeding their progress. But even more importantly for me, when swimmers take the fins off and swim ‘normally’, they feel slow. And that just seems wrong. For older swimmers however, there are 3 good situations where fins are advisable. This is mandatory, recommended, helpful and smart. Swimmers are never aware that they are sweating, as we’re surrounded by water. However, we do sweat continuously during practice (especially 1.5 – 2 hour practices), and this water needs to be replaced or else the swimmer can experience cramping and slower swimming. This is true for every swimmer. The rule of thumb is that, for older swimmers in hard practices, at least one litre of water should be consumed during a practice, and preferably one litre per hour. We are soon going to be moving one step past just water. We have a Sports Nutritionist coming in this coming week (Friday, Nov. 29). He will be explaining the basics of pre, during and post-practice nutrition and hydration, including the use of protein / dextrose solutions to provide energy and enhance recovery.